Local real estate closings for the second quarter are a bit surprising, especially for the McCall Area. Here is a quick summary of what the data looks like for our closings, based on information from our local MLS. Residential sales: 47 homes closed, total dollar volume was $14,278,250. Average sales price: $303,793 and median sales price of $231,000. Our average days on market was around 165. These numbers are down from our first quarter, with almost a 16% drop in average sales prices for the second quarter. Land sales: 35 closed with a total dollar volume around $3,507,000. Average sales price: $100,200 and median sales price of $72,500. Our average days on market was around 342. The number of closings for the second quarter are much higher than last quarter but the average prices dropped almost 7%. Donnelly residential sales: 12 homes closed, $2,599,350 total dollar volume. Average sales price: $216,613 and median sales price: $156,000 with an average days on market was 190. These numbers are stronger for the second quarter over the first with an increase in the average sales price almost 9%. Tamarack residential sales: 2 homes, for a total of $842,616 in dollar volume. Average sales price: $421,308 and median sales price of $421,308. The average days on market was 662 days. These numbers are a lot lower in quantities than last quarter but average sales price went up almost 11% over last quarter. Cascade residential closed sales: 15 homes sold with a total dollar volume of $2,236,650. Average sales price: $149,110 and median sales price of $142,500 with an average days on market to be 150 days. Cascade saw the best increases for the second quarter with almost a 23% increase in average sales price for the second quarter over the first. New Meadows area residential closed sales: 11 homes closed. $2,083,000 total dollar volume with an average sales price of $189,364 and median sales price of $199,500. Average days on market was 180. This area saw a slight increase of average sales price of 4% for its second quarter. We are always excited to hear about good news in the country today and recently I was forwarded an article from the Wall Street Journal about market conditions improving in high-end locales for vacation homes that I thought was interesting enough to share. Below is the link to their article. McCall is not mentioned in the article but our market still has incredible buying opportunities and with these historically low interest rates, it is setting up to be a fantastic summer. Boise, which is our feeder market, has seen three months of consistent sales price increases. In the Idaho Statesman Saturday edition of their HomeFinder section, they showed an increase not only in average sales prices but also an increase in total number of homes sold both from last month and the previous year at this time. Call us today if you want to learn more about real estate opportunities in McCall. The extra day this year didn’t add to much more activity to the real estate transactions around McCall. There were 13 real estate transactions closed around the McCall area during the month of February according to our local MLS, with a total dollar volume of $1,434,500. Of the 13, 2 were fractional properties, 2 condominiums, 3 vacant land, and 6 single family homes. The lowest price sold in February was $25,500 which was a lot in Crescent Rim area and the most expensive property closed in February was a Shiner Creek Condominium sold for $265,000. Of the ones closed, only 4 of them were reported as short sales or foreclosures. The good news is that there are 36 properties pending or have a contingent status for the McCall area, including some nice lake front properties, so expect to see the real estate numbers for the upcoming months to jump up significantly. We are a little behind in getting the April numbers posted so since we waited long enough, we now might as well post the real estate closings for both April and May. It is hard to believe it is already June 5th. April closings for McCall were very strong this year, the most dollar volume we have seen all year. There were 21 real estate closings for April with a total dollar volume of $3,936,501. The average sales price was $187,452. Five of the closings were short sales and six of the closings were banked owned properties. May’s closings were down from April, with a total dollar volume around $2,696,655 with only 17 closings for the McCall area. Six of the closings were banked owned and three were short sales. 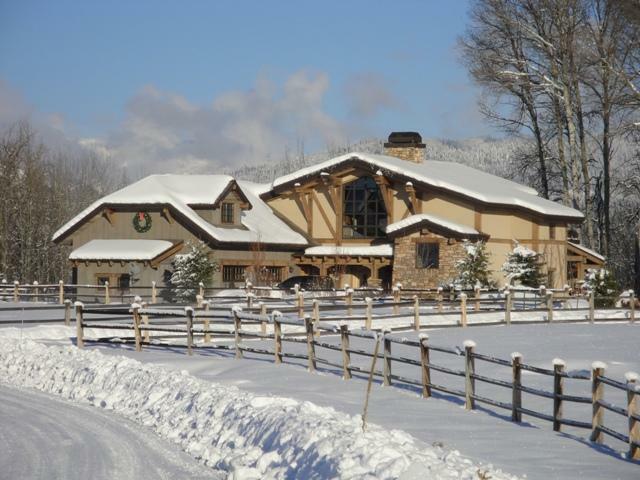 For more information about real estate in McCall call or email us today.